Osteonecrosis of the femoral head (ONFH) typically impacts middle-aged patients who are typically more active and in whom many surgeons would try to delay performing a total hip arthroplasty (THA). This poses a clinical decision-making challenge. Therefore, several options for joint preservation have been advocated, but varying indications and success rates have led to debate on when to use the various procedures. This is due in part to the lack of a generalized system for assessing ONFH, as well as the absence of a standardized method of data collection for patient stratification. Due to the paucity of studies, in this review, we aimed to provide an up-to-date review of the most widely utilized classification systems and discuss the characteristics of each system. A comprehensive literature review was conducted. Studies published between January 1st, 1975 and March 1st, 2018 were reviewed. The following key words were used in combination with Boolean operators AND or OR for the literature search: “osteonecrosis,” “avascular necrosis,” “hip,” “femoral head,” “classification,” “reliability,” and “validity.” We defined the inclusion criteria for qualifying studies for this review as follows: (1) studies that reported on the classification systems for hip osteonecrosis, (2) studies that reported on the inter-observer reliability of the classification systems, and (3) studies that reported on the intra-observer reliability of any ONFH classification systems. In addition, we employed the following exclusion criteria: (1) studies that assessed classification systems for traumatic osteonecrosis, (2) Legg-Calvé-Perthes disease, or (3) Developmental Dysplasia of the Hip. Additionally, we excluded case reports and duplicate studies among searched databases. The following classification systems were the most commonly utilized: The Ficat and Arlet, Steinberg, the Association Research Circulation Osseous (ARCO), and the Japanese Investigation Committee (JIC) classification systems. The details of each system have been discussed and their inter- and intra-observer reliability has been compared. To this date, there is a lack of consensus on a universal and comprehensive system, and the use of any of the previous classification systems is a matter of dealer’s choice. The Ficat and Arlet system was the earliest yet remains the most widely utilized system. Newer classification systems have been developed and some such as the JIC shows promising prognostic value while maintaining simplicity. However, larger validating studies are needed. While all of these systems have their strengths, the lack of a unified classification and staging system is still a problem in the diagnosis and prognosis ONFH. Further multi-center collaborative efforts among osteonecrosis experts are needed to adopt a universal classification system that may positively reflect on patient’s outcomes. Assem A. Sultan, MD: nothing to disclose. Nequesha Mohamed, MD: nothing to disclose. Linsen T. Samuel, MD, MBA: nothing to disclose. Nipun Sodhi, BA: nothing to disclose. Journal of Arthroplasty: Editorial or governing board. Stryker: IP royalties; Paid presenter or speaker. Fidiapharma: Paid presenter or speaker. Stryker: Paid consultant; Paid presenter or speaker; Research support. AAOS: Board or committee member. DJ Orthopedics: Paid consultant; Research support. Johnson & Johnson: Paid consultant; Research support. Journal of Knee Surgery: Editorial or governing board. National Institutes of Health (NIAMS & NICHD): Research support. Ongoing Care Solutions: Paid consultant; Research support. Orthopedics: Editorial or governing board. Orthosensor: Paid consultant; Research support. Peerwell: Stock or stock Options. Performance Dynamics Inc.: Paid consultant. Stryker: IP royalties; Paid consultant; Research support. 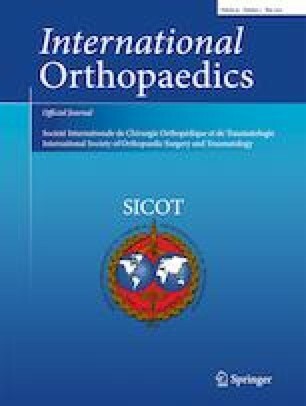 Surgical Techniques International: Editorial or governing board. TissueGene: Paid consultant; Research support.